Magic March - Two Moons will shape and change your life! March is a mystic month of a year. It has an energetic field, which is different every year. You won't ever be able to predict which energy March will bring. But in March we will have 2 Full Moons; a Worm Moon, and a Blue Moon. The Worm Moon will come into sight on March 1-2, and the Blue Moon will perform on the night of March 31st. With an appearance of the first full moon in March we will be surrounded by energies of consciousness and guidance. They will help us to look deep into our souls and clear up all our mistakes. And our souls will be cleaned, as a result. Thanks to these energies we'll have flashbacks and revise our decision we made last year. March is a month of self-searching, self-recognition, and self-analysis. These energies will guide us to our right path and make us think what we really want in our life. (March 20-21st). The energy of the Pisces forces us to be better people. It brings about the hidden truth that is buried deep within us. Aries’ energy will make us prone to rush into things and act impulsively. Don't put your head into a new thing so quickly. Think twice before you act. Aries is a determined and a strong-headed sign, so during this period, you will become more strong-willed to do a lot of things. But don't forget to feel ground under your feed. You have to protect your energy, otherwise, Blue Moon will bring you bad vibrations. It will drain you instead of recharge you. 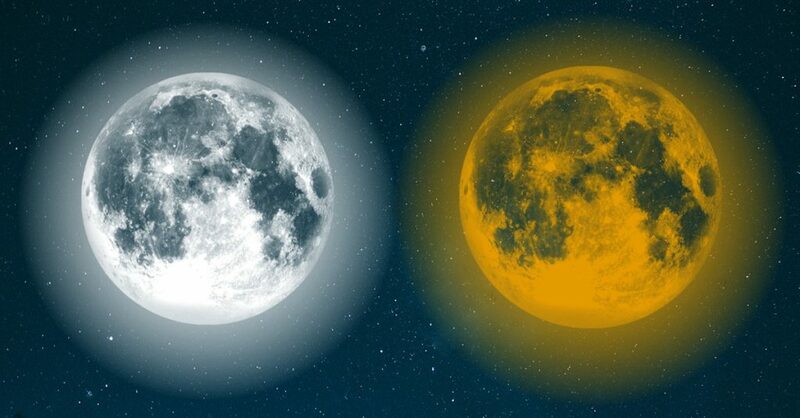 The energies of the Blue Moon that will appear on the sky on March 31st will completely change your life you will never expect (in a good way). These energies will bring good vibrations into your life. Although you will feel a little lost and unsure about your actions, unexpected magic will happen. Just keep your faith in this mystic energy coming from Universe.